Eczema is a disorder that makes the skin look awful. Unfortunately, there are a lot of misconceptions about eczema. I was battling with eczema on my lower chin last few weeks and someone gave me that disgruntled face and went ahead to accuse me of being a dirty person, he was not well informed so I didn't prolong the talk and I knew right there that I had gotten a new blog post idea😇. It's important that you understand your condition so you can help others understand it as well. Here are a few common myths about eczema and the truth about each one. MYTH: People who have eczema do not wash properly. FACT: Of course this is not true. Having eczema has nothing to do with personal hygiene; the disease is believed to be caused by a combination of environmental, genetic and immune system factors. In reality, many eczema sufferers bathe much more frequently than non-eczema sufferers to help hydrate the skin! MYTH: Eczema will leave permanent scars. FACT: Generally, no. Although your eczema can be very uncomfortable and unpleasant, it is very unusual for it to leave any permanent marks on your skin. MYTH: Eczema can be cured with medications. FACT: Although medications and treatments are available to help manage eczema, there is no cure. It affects people of different age groups. Symptoms vary from mild itching, severe inflammation to flaking of the skin, it is an unattractive sight because it appears on the face, chest and sometimes on the elbows, knees and back. In some cases, the symptoms could come with blisters. 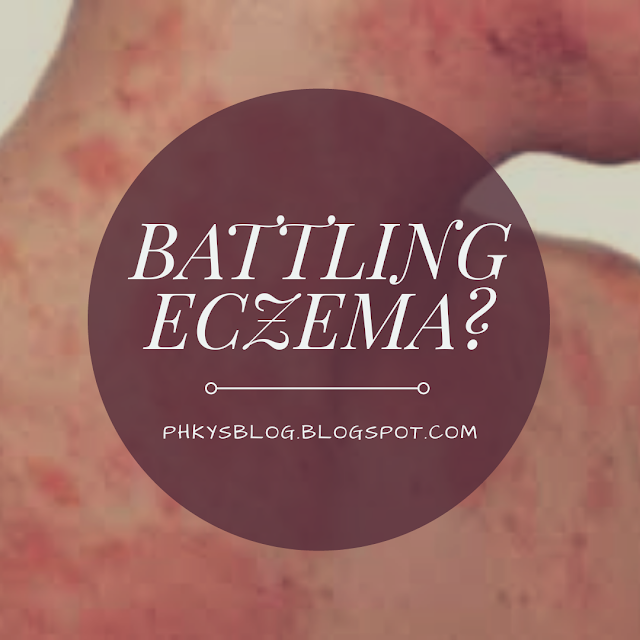 Food allergies, cream reaction and stress can also result to eczema. 1. Apply Vaseline on the affected area to remove the dry skin. 2. Use coconut butter lotion to sooth and moisturize the skin without clogging pores. 5. Take frequent warm showers to help the skin retain its moisture.